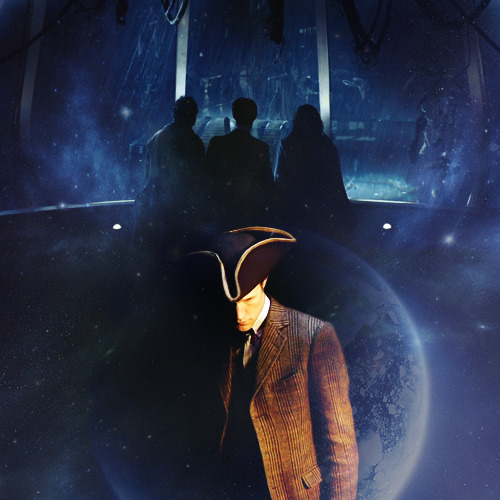 The Doctor In The TARDIS > Forum > Travels In Time And Space > The Invasion Of Time > Too reliable on continuity? We're in a Century where there's such a creation as the BBC iPlayer [Thank God!]. Meaning, if you've got that Weekly Shop to do or Relatives to meet on a Saturday, you can still watch your Favourite Shows. But, my questions is this. Do you think, for the viewers, the Classic Era was TOO RELIABLE on continuity? Bearing in mind each episode was only shown once until VHS, it'd be impossible for a person who'd missed Mawdryn Undead to understand Terminus. And, it'd be impossible for someone who'd missed The Keeper of Trakken to understand Logopolis. Do YOU think it was too reliable on Continuity? Re: Too reliable on continuity? Have you personally seen those stories? Because while there is some strong continuity in them (as well as many others), I would say that they are more than watchable if you haven't seen the others you mentioned. While there may have been things that the casual viewer might not understand, it wouldn't be 'impossible' to follow as you imply. The stories themselves are pretty straightforward. Continuity only really became an issue in the mid to late 80's. The show became widely wrapped up in itself during that time, partially due to JNT trying, rightfully or not, to cater to and impress everyone. But, by the time this was in full swing DW was already available on VHS and many people were recording it off the TV anyway. The older stories, many of which are lost now so cannot be watched again to catch up on, didnt really follow a strong continuity. They were more about telling a story and you could dip in on any random story and be pretty much up to speed on what was going on in the larger narrative, because there wasn't really a larger narrative. The thing is, DW is still quite self referential even today. Fans, like the people on here, will go out and buy the DVD's and whatnot, whereas casual viewers are less likely to do that and so they will still only see that 'one viewing' so plot points like River Song or the cracks in time would be equally as lost on them if they are dipping in and out as they would be if they were watching during the classic era. Yes, I agree with TDD too. Through the 60s and 70s (especially in the first couple of years) there was a definite thread of character development, but the stories themselves were very much discrete entities. There wasn't even that much recurrence during the 60s - during the whole period of the first two Doctors, the only monsters who recurred were the Daleks, the Cybermen, The Yetis/Great Intelligence and the Ice Warriors, and the only non-companions who reappeared were the Monk, Professor Travers and Lethbridge Stewart. Most of even these didn't happen till the later 60s. I'd say they were pretty good at giving enough background info for a new viewer without boring the regulars. I've been using TIQ on the forum to catch up on the classics because I would say I had probably seen about 5% of them beforehand, but watching them in there, totally out of order, hasn't hindered the experience. There are stories that we have watched that have had both direct and indirect links to other stories, but having only seen perhaps one story and not the other hasn't left me any more confused about what has been going on than I suspect it might if I was watching in order. As others have said, its moreso in the new series that continuity and canon have come into play a lot more. I think Series 5 and 6 especially have been heavy on continuity and dipping in and out of them would leave me a lot more confused. The only way I think you could get really lost with the classics is not tuning in for every part of the story, but that's not really a continuity problem. You'd be just as lost if you chose to read random chapters of a book, so stuff like that is to be expected. Nah, I don't think I was ever confused when jumping all around classic. Stories with recurring characters never bothered me. Sometimes I was even bummed out when they didn't refer back like Arc of Infinity didn't refer to The Three Doctors. No, it's the two parters, season finales, and series 6 of new Who that's hard to watch without context. Based on what I've heard from online, it depend solely on who you were. I'm sure some lapped it up and some were plenty ticked-off. I don't have a huge problem with it, unless it's in an already bad story (COUGH Resurrection of the Daleks COUGH). 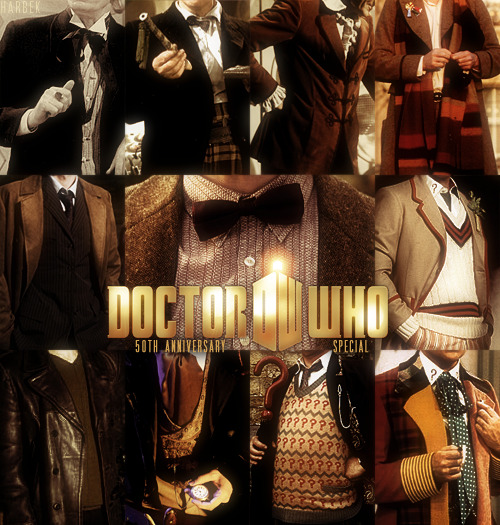 Some people say it only started in the mid-80's but it really started with the Doctor's speech in The Massacre of St Batholomew's Eve, where he mentioned EVERY SINGLE ONE OF HIS COMPANIONS. We also got a flash-back sequence in Logopolis and The Three Doctors was purely a celebration of Doctor Who history. In short, I think it is a bit annoying but not annoying enough to bother me if it's in a good story, like Remembrance of the Daleks. Resurrection a bad story? Seriously? I love that one. Now Revelation of the Daleks - that I find really weak. Personally I love it when we get back-references. Then again, I've been watching it since the beginning, so it doesn't confuse me. 1. It is virtually plotless. 2. So. Much. Graphic. Violence. 7. The brilliance of Michael Wisher's Davros is gone, giving way to a bland looney, who takes glee in ranting every line. 8. Also do the Daleks even have an evil plot? When it comes to Revelation of the Daleks, I think it's a so-so story. It's not Colin Baker's best, which I consider to be The Trial of a Time Lord:Mindwarp, but it's not the worst. It's got some good ideas and wonderful music but also some bad acting and a weak plot. Also, that Glass Dalek is SO COOL! Still, everyone's entitled to their opinion. Upon thinking about it, I realized that the first example was in the 3rd story, The Edge of Destruction (or Inside the Spaceship; whichever you prefer), where Barbara mentions the Cave of Skulls and the Daleks, from the two previous stories. I'm not 100% sure it counts, however, since those episodes happened only a few weeks back, so it still may have been fresh in the viewing public's mind.